Anti-imperalist conspiracy theorist John Judge who pointed to the CIA to blame for the Jonestown killings says Chenault was a disciple of Rabbi Emmanuel Israel, and his list of targets were similar to those on “death lists” distributed by the KKK, and linked to the FBI COINTELPRO operations in the 60s implying that perhaps the US government was behind his madness. If they blame the US government, the real culprit is the enemies of the US and West. ratical late Jonestown and assassination researcher John Judge. Judge was the first to implicate the CIA in Jim Jones’ Jonestown colony and the massacre of its 900 hundred residents (they didn’t drink the Kool-Aid, by the way, they were shot). Mrs Alberta King, whose husband, the Rev Martin Luther King Snr, is pastor of the church on Auburn Avenue, was playing the organ for the Lord's Prayer near the start of the service when the attack began. A young black man jumped and screamed: "You must stop this! I am tired of all this! I'm taking over this morning." With that he drew two pistols and for the next 90 seconds fired wildly and continuously, hitting Mrs King, another elderly woman parishioner, and a 69-year-old church deacon, Mr Edward Boykin. 'Delirious' While members of the congregation dived beneath the pews, a few men from the choir jumped on the gunman, who was shouting: " I’m going to kill everyone in here - they did it to me in the war." Mrs King's grandson Derek, who said he helped to subdue the gunman as he tried to reload a pistol, added: "He was delirious. He appeared to be in a fever. He said over and over, 'The war did this to me. It's the war.'" Jan 15, 2018 - King and Boykin were murdered by Marcus Wayne Chenault Jr., who reportedly later said he had open-fired inside the church due to his disdain for the Christian faith after “his god” instructed him to do so, as The New York Times noted in a 1995 news report detailing Chenault's own death while in prison. Posts about Marcus Wayne Chenault written by princeray. Aug 25, 2010 - When my younger brother Mark was working there, one of his fellow busboys was a young black man named Marcus Wayne Chenault. The lesson I draw from this is that sometimes there really are lone nuts who do amazingly stupid and violent things. A great many people are convinced that James Earle Ray was part of a conspiracy to kill Dr. Martin Luther King. This is a subject with which I have some familiarity because my Criminal Law Professor at Notre Dame, G. Robert Blakely, was Chief Counsel to the House Select Committee on Assassinations. He interviewed Ray and tripped him up repeatedly in the story Ray was trying to sell. If I were going to rub somebody out, I certainly would not hire someone like Ray as a triggerman. Ray was also good at spinning yarns for people unwary enough to listen to him. Shortly before he died, Ray met with one of Martin Luther King’s sons, who told him that he was not the shooter. Dexter King later said that he was convinced that Ray was not guilty of murdering his father. Speaking to someone who has examined the record closely, I can only imagine that Ray had a very good chuckle when he got back to his cell, seeing that while he was going to spend the rest of his life in prison, at least he had totally fooled one of his victim’s sons. One of the reasons people want to believe that there was a huge government conspiracy to kill Martin Luther King Jr. is that they don’t want to accept that such an historic figure could be killed by as evil a non-entity as James Earle Ray. Or, for that matter, as Marcus Wayne Chenault. Most Americans know Martin Luther King was gunned down by James Earl Ray at The Lorraine Motel in 1968. What many don’t realize is that MLK’s mother was also assassinated. 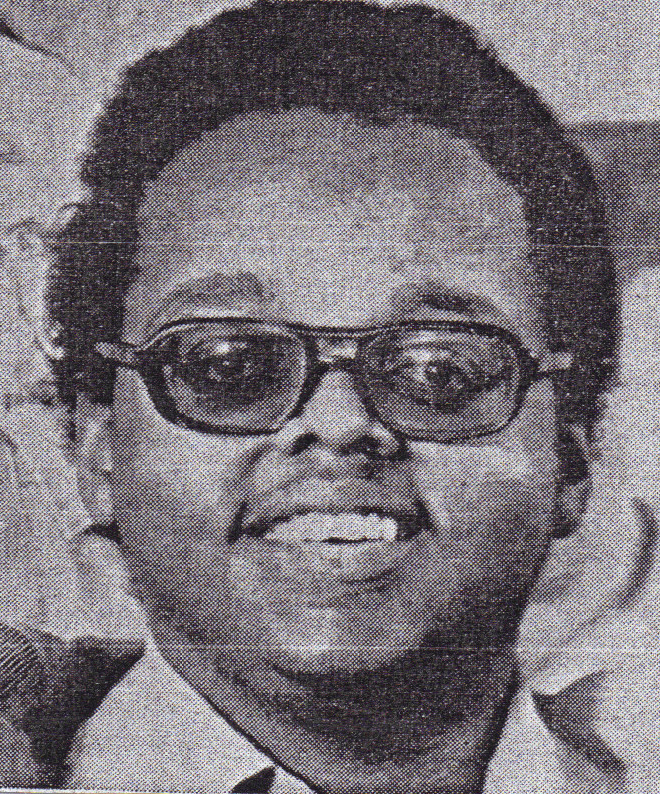 On June 30, 1974, six years after her son was killed, a deranged 23-year-old (fellow) black man named Marcus Wayne Chenault, who believed Christianity was harming African Americans, gunned Alberta King down as she played the organ in church. Her son was 39 when he was killed while Alberta made it to 69 before Chenault shot her with two pistols as she sat at the organ of the Ebenezer Baptist Church. Chenault stated that he shot King because “all Christians are my enemies”, and that black ministers were a menace to black people. Marcus Wayne Chenault was sentenced to death but that was quickly commuted to life imprisonment because the Kings opposed capital punishment. So, who was Marcus Wayne Chenault? Marcus “Markie” as he called was born quite different from his brothers and sisters. All of Markie’s family members were associated with the branches of U.S. Armed Services. Markie was too short and nearsighted to qualify for any type of military service. The senior Chenault was a long term employee of the Atomic Energy Commission’s (AEC) “Mounds” laboratory in Miamisburg, Ohio, 15 miles south of Dayton. The Mounds Lab was part of the S Factor, Stanford Research Institute (SRI). Former SRI and AEC Director, CIA/MK-ULTRA Director, John Alex McCone, formed the Mounds Laboratory on approximately 360 acres in 1948. There is concrete evidence that electronic mind control was an object of extensive study, research and experimentation at SRI as exposed by the Washington Post on August 7, 1977. During arraignment on murder charges, Chenault referred to himself in an alter personality, a “Hebrew”, and gave the name of the alter to the court as “Servant JACOB”. In court, Chenault was observed to be biting and licking his lips, and clasping his hands, repetitively. When asked about the shooting, Wayne responded, “I’m a Hebrew and was sent here on a mission and it’s partially accomplished.” Markie had been sent on a mission from some God packaged and pre-programmed to kill. Jacob, in Hebrew, is also called Israel. In the bible, Jacob had an ongoing rivalry with his twin brother, Esau. That struggle originated in the womb, leading their mother Rebecca to seek a divine oracle from which she learned that the younger Jacob would rule over his brother. This reference is important in understanding Chenault’s programming in that alter “Servant JACOB” was programmed to rule over the mind, body, personality of Marcus Wayne Chenault. During his sentencing to the death penalty for capital murder, Markie violently spat in the faces of his mother and father. I always wondered why until the dots were connected to John McCone, DCI of the CIA/MK ULTRA; Mounds Weapons Laboratory; and the Wright-Patterson Air Force Base. The Mounds Lab was a nuclear weapons and light arms facility. The Mounds Lab had many business, partnership and personnel connections with Bechtel, Kaiser, McCone, Monsanto, and SRI. Additionally, there were some secret operations conducted at Mounds Lab by Wright Patterson Air Force base. Wright Patterson base was involved in recruiting bright young geniuses to attempt a breakthrough in Tesla technology. Wright Patterson had been the home base to some of the most ardent Operation Paperclip Nazi-SS scientist. Tesla technologies involved electric magnetic frequencies mind control that the SS was interested in perfecting and exploiting. Markie had been linked to a group of Black mind control assassins, “The Troop”, being run out of the Wright Patterson Air Force Base. Markie and “The Troop” hit list targeted most of America’s leading Black religious and spiritual leaders straight out of COINTELPRO. One of the early bloodline generational military-industrial mind control subjects was Marcus Wayne Chenault. Marcus “Markie” as he called was born quite different from his brothers and sisters. They were born quite normal. All of Markie’s family members were associated with the branches of U.S. Armed Services. Markie was too short and nearsighted to qualify for any type of military service. The senior Chenault was a long term employee of the Atomic Energy Commission’s (AEC) “Mounds” laboratory in Miamisburg, Ohio, 15 miles south of Dayton. The Mounds Lab was part of the S Factor, Stanford Research Institute (SRI). The senior Chenault reportedly worked as a tour guide. Wayne’s mother worked as a nurse. Markie had been born with certain infantile deformities. He never grew to no more than five feet tall. He became a short chubby, baby-faced, bespectacled young man. On June 30, 1974, Sunday morning during the chanting of the Lord’s Pray at Ebenezer Baptist Church in Atlanta, GA where Mr. and Mrs. Martin Luther King, Sr. presided, Markie jumped atop a pew and shouted, “I am taking over, I am taking over”. He took out two pistols and shot and killed Mrs. Alberta King, Dr. Martin Luther King, Jr.’s mother, and Deacon Edward Boykin. Jacob is also an important biblical figure in the racist, violent & reactionary Christian Identity Movement. Jacob and Abraham are considered by them to be the true Israelites. The Christian Identity Movement believes that white people are the true Israelites. The Mounds Lab was a nuclear weapons and light arms facility. The Mounds Lab had many business, partnership and personnel connections with Bechtel, Kaiser, McCone, Monsanto, and SRI. SRI and Monsanto spin-offs are located in Palo Alto, bedroom community to Stanford University. Bechtel along with Henry J. Kaiser helped found SRI at Stanford University in 1946. There is concrete evidence that electronic mind control was an object of extensive study, research and experimentation at SRI as exposed by the Washington Post on August 7, 1977. Additionally, there were some secret operations conducted at Mounds Lab by Wright Patterson Air Force base. Wright Patterson base was involved in recruiting bright young geniuses to attempt a breakthrough in Tesla technology. Wright Patterson had been the home base to some of the most ardent Operation Paperclip Nazi-SS scientist.Tesla technologies involved electric magnetic frequencies mind control that the SS was interested in perfecting and exploiting for the Third Reich and the New World Order. Markie had been a bloodline-generational medical mind control experiment implanted with an experiment transistor brain chip. Markie’s violent resentment to his parents was most likely based on the fact that they had donated him as a frail infant to U.S. Air force/SS medical science at SRI/Mounds Lab/ Wright Patterson Air Force Base. Finally, Earl Wood’s reference to Tiger being implanted with “God’s Mind” is an important clue in understanding Tiger’s programming in that he has a “God” alter personality programmed to rule over his mind, personality, and body. Markie had also been implanted with “God’s Mind” as an important essential alter in his programming. What God had chosen Earl Woods to sire a super human specie? What Godly mind? The military-industrial-medical-congressional complex! In most cases, Tiger was in his father’s presence when he made most of the almost divine, mystic yet bizarre prophesies about him. What did Tiger do or say? Nothing. Absolutely nothing like a programmed helpless android. The military-industrial-medical complex has had the technology to create “Dr. Jekyll & Mr. Hyde” multiple personality victims for decades. Tiger is a bloodline generational military-industrial mind control casualty just like Marcus Wayne Chenault and the dirty underwear bomber, Umar Farouk Abdulmutallab. Tiger is most likely a MK ULTRA super athlete experiment implanted with a brain chip, which is the result of what you see, a trauma based induced multiple, a classic CIA/MK ULTRA “Dr. Jekyll & Mr. Hyde” victim of governmental abuse. Mrs. Martin Luther King Sr., 69, wife of the pastor and mother of the slain civil rights leader, was playing. As the 500 worshipers bowed their heads for the Lord’s Prayer, Marcus Wayne Chenault, 23, opened fire with two revolvers. “I’m tired of all this!” he screamed. “I’m taking over!” And he sprayed bullets wildly until both guns were empty. He wounded three people, two of them —Mrs. King and Deacon Edward Boykin, 69—fatally. version of this archives appears in print on July 8, 1974, on Page 25 of the New York edition with the headline: Chenault's Road to Atlanta and Tragedy Is Linked to a Bizarre Interpretation of Bible. In 1968, the family moved to Dayton, where Marcus completed his last year of high school, graduating from Roth High in 1969. He enrolled at Ohio State, originally as a prelaw student, but he switched to education. He became interested in the Hebrew Pentecostal Church of the Living God, made up of small congregations sprinkled across the country. The sect believes that blacks descended from a tribe of Israelites and were therefore black Hebrews, not Negroes. Often the session was taped so that Mr. Chenault could take the tapes back to Columbus to study them. He made numerous phone calls to Mr. Israel to continue the discussions or ask for interpretations. The “truth” was a curious, literal interpretation of the Old Testament. Whatever the problem, the answer was to be found in the Old Testament, as interpreted by Mr. Israel. Mr. Israel taught Mr. Chenault that the problems of blacks were traceable to false prophets, ministers and civil rights leaders. Mr. Chenault was arrested by the Columbus police last April on a disorderly conduct charge after butting the speakers of his record player in a window and playing them loudly. By then, Mr. Chenault had changed his name on his mailbox to “Jacob” and had put sign on his door, “Servant Jacob.” His apartment was on the second floor of an old threestory brick house two blocks from campus. He painted his rooms black, with yellow dots. Mr. Chenault went to his family's home and borrowed the car. During the night, the home was broken into and his father's two pistols were taken. The father reported the break‐in to the police Saturday morning. On Sunday morning the guns were used to kill Mrs. King and the deacon. Conspiracy theory says he was MKULTRA CIA controlled like the communist pro-Russian Sirhan Sirhan Palestinian terrorist. Or are they covering up like most anti-imperalist conspiracy theorists that was the communist opposite of the CIA? identified as Marcus Wayne Chenault lept from a pew ranting things like “We must stop this!” and “You are serving a false god!” as he fired a handgun mostly aimed at Mrs. King, but also striking Deacon Edward Boykin and an unidentified woman.The woman survived but the 79 year old Boykin did not. Neither did Alberta King, who was rushed to the hospital where she was soon pronounced dead. Chenault was wrestled to the ground by bystanders while attempting to reload, yelling incessantly about “the war.” He later admitted the attack came from a hatred of Christians, and that he originally planned on killing Martin Luther King Sr., but his wife was simply closer. He believed he had been ordained by god to commit this terrorist act, as he believed African-American Christian leaders were misleading Black America. His lawyers pled insanity and the ever-pacifist King family requested he avoid the death penalty. Marcus Wayne Chenault died in prison of a stroke in 1995 at the age of 44.
https://www.nytimes.com/1995/08/22/obituaries/m-w-chenault-44-gunman-who-killed-mother-of-dr-king.html At his arraignment, Mr. Chenault told a magistrate that he had come to Atlanta "on a mission," and said he decided months earlier that black ministers were a menace to black people and must be killed. He also told the police that his mission was to kill the Rev. Martin Luther King Sr., but he shot Mrs. King instead because she was close to him. Their son Dr. King, the civil rights leader, was assassinated by an escaped convict, James Earl Ray, in Memphis on April 4, 1968.
https://www.atlantamagazine.com/civilrights/the-murder-of-alberta-king/ Although Chenault’s lawyers pleaded insanity—the young man repeatedly said he was on a mission to kill all Christians—he was given a death sentence. This was later reduced to life in prison, in part at the insistence of King family members who opposed the death penalty. He died in prison of a stroke in 1995.